Brrrr! While I know that there are some people that look forward to winter and enjoy all of the aspects that come along with the cold temperatures and the piles of snow... but I'm not one of them. Instead, I look at January as the perfect month to be surrounded by comfort, coziness and warmth — fleece blankets around the house, flannel pj's to snuggle in at night, mugs of hot cocoa waiting on the counter and an abundance of soup recipes to choose from to warm us from the inside out. Even better, as January is Slow Cooker Month, I'm even more inspired to create dishes for every meal that don't require much more than putting in the ingredients and flipping on the switch. And while we're all familiar with the appetizers, stews, main dishes and more, let's not forget about the delicious desserts that can come out of a slow cooker. My favorite? 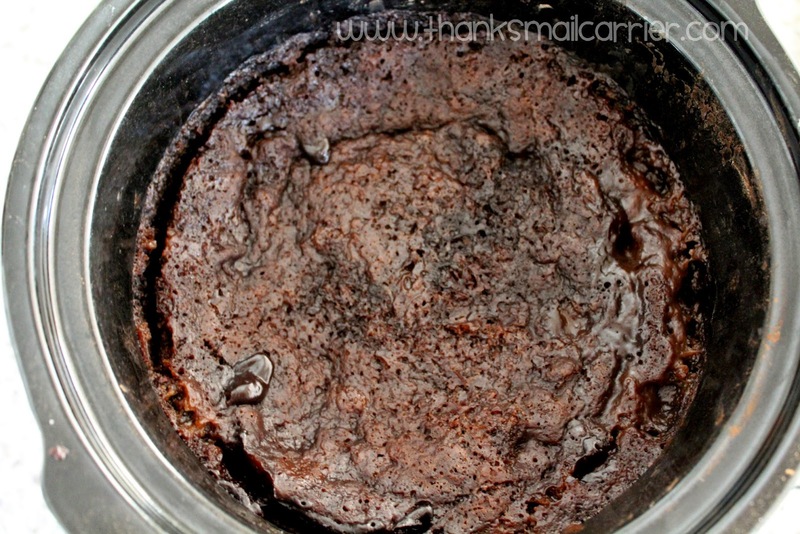 Slow Cooker Chocolate Lava Cake! While this dessert can be created by using a boxed cake mix, I find that I have the individual ingredients on hand more often than the box. Plus there is just something about making a dessert from scratch that fills me with a little extra pride! ...and flip the slow cooker switch to High for 2 to 2½ hours. I'm telling you, the most difficult part of making this Slow Cooker Chocolate Lava Cake is smelling the amazing aroma while it cooks and then letting it sit for a little while after so that it doesn't burn your tongue. It's hard to wait to put on that dollop of COOL WHIP Whipped Topping and scoop up a big bite! Whether you whip this up as a surprise for your family or dish it out with coffee to your friends, this cake manages to fill you up with rich, chocolatey flavor and a feeling of being warm and cozy on a chilly winter night. 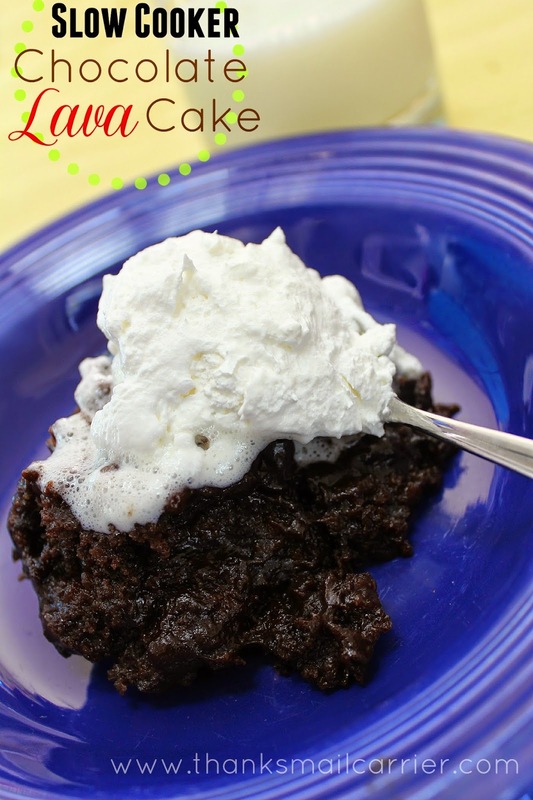 Kraft is hosting this tasty dish for me, so find the complete recipe and instructions here: Slow Cooker Chocolate Lava Cake. Yum! I got a new Slow Cooker for Christmas and I have always wanted to make a Chocolate Lava cake, but I feel that it will not turn out. But your recipe in the Crock pot looks easy. I will have to try making this!! I am soooo making this! I love my slow cooker. Have yet to try a dessert in it but we love lava cakes. 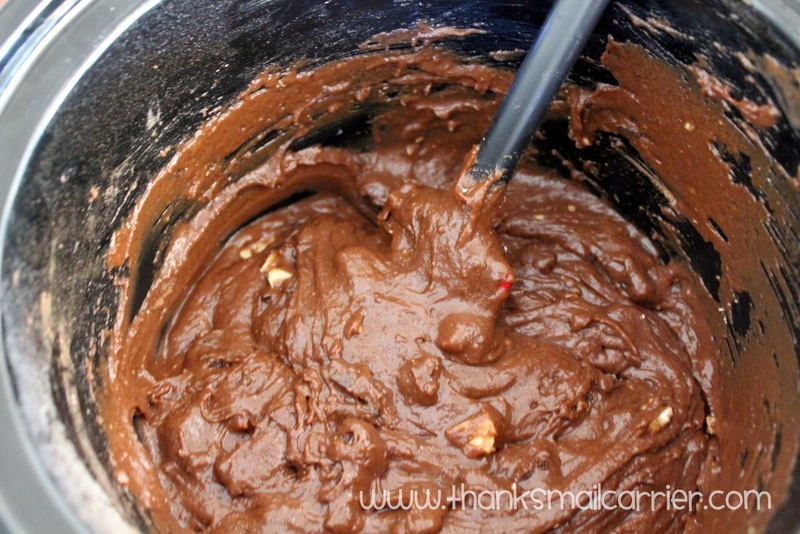 I'm with you--I find that it's often easier to make desserts from scratch rather than using a boxed mix, although I do keep a mix or two on hand. I'm back with a question. What size slow cooker are you using for this? The recipe doesn't say, but your picture looks like a smallish round model, maybe 3 or 4 quarts. Thanks! Great question, Anne!! I hadn't even thought about mentioning the size of the slow cooker - you're totally right, this is a 4 quart model. I know I'd have a hard time waiting for it to cool enough so I don't burn my mouth. Yummy! Looks so good! 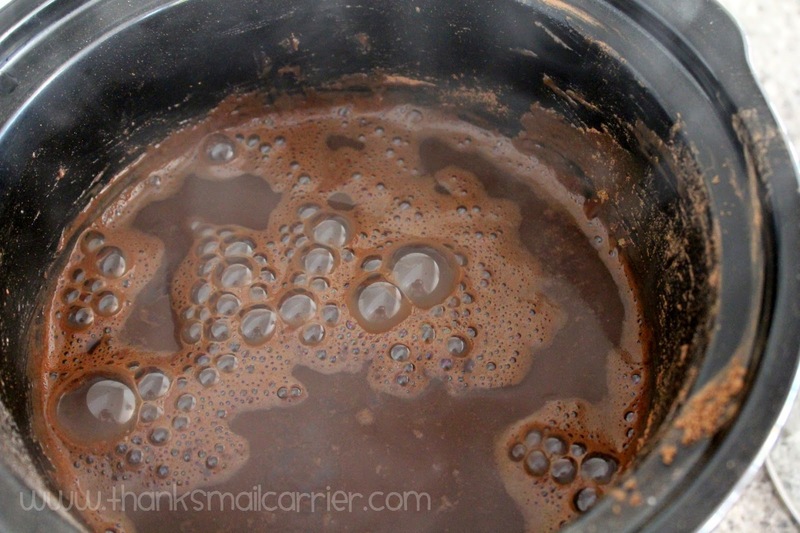 A slow cooker is one of the most invaluable appliances in a kitchen! I forgot to get stuff at the store for this. Will tomorrow. Drool. My hips are aching just looking at this! I think my slow cooker needs to make an appearance ASAP! Made it today and it was yummy. Thanks. I have never thought about using a crockpot for anything sweet like this. I usually do stews and soups. This looks delicious and easy enough to make. Thank you for sharing! I haven't used my slow cooker to make a dessert yet. But I have got to try the lava cake. It looks so good. I'm really excited for this recipe because I just bought a slow cooker and I've been looking for yummy recipes like this one, thanks! This Chocolate Lava Cake looks so delicious. I am gong to try to make this this weekend.